ZCommunications » Peace Negotiations or War Preparations? Posted in: Globalization, War Terrorism, Syria, Middle East, Saudi Arabia, Features | Comments Off on Peace Negotiations or War Preparations? On May 21, 2015, the Colombian Air Force (FAC) bombed the base camp of the Revolutionary Armed Forces of Colombia (FARC) killing 26 guerrillas. Three days later, FAC bombed other FARC bases killing 14 more guerrillas. This was part of an official offensive launched by President Juan Manuel Santos, the U.S.’s most loyal client in Latin America. Among the victims were FARC Commanders Jairo Martinez, a participant in the ongoing peace negotiations in Havana, and Roman Ruiz. Aronson’s role is to ensure that the Colombian government destroys the popular armed resistance and forces FARC to accept a peace accord that does not change the status of U.S. bases, lucrative contracts with international mining companies, and promotes free trade. 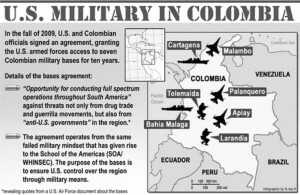 Colombia and Washington are conducting two-pronged peace negotiations and a brutal war policy against FARC as part of a general world-wide politico-military campaign against mass popular movements that oppose neo-liberal economic policies, U.S.-initiated wars, military bases and onerous free trade agreements. In each region, the U.S. has developed a very special relation with key governments that serve as strategic allies. These include Israel in the Middle East, Saudi Arabia in the Persian Gulf and southwest Asia, Japan in the Far East, and Colombia in Latin America. 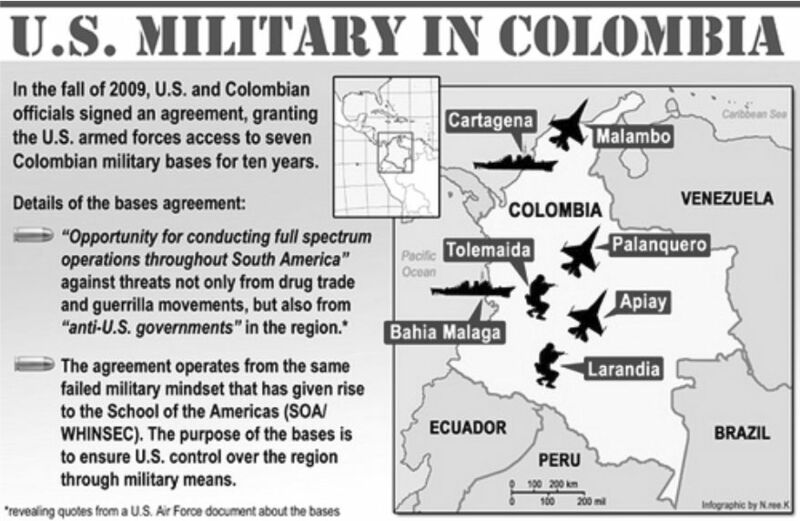 For the past two decades Colombia has served as the key U.S. operational base for U.S. naval and air surveillance in the Caribbean, Central America and the Andean countries, as well as the launching pad for destabilization campaigns and intervention against the governments of Venezuela, Ecuador, and Honduras. Throughout the world, Washington is engaged in some sort of direct or indirect peace negotiations even as it expands and intensifies its military operations. The mass media and official Washington spokespersons would have us believe that the U.S. and Iran are within reach of a peace accord, contingent on Teheran surrendering its nuclear capability (repeatedly proven to be non-military in nature) and the U.S. lifting its economic sanctions. The media’s narrow focus approach to the Persian Gulf conveniently ignores contradictory regional developments. First, the U.S. has embarked on devastating wars against key Iranian regional allies: the U.S. funds and supplies arms to terrorists who have invaded and bombed Syria and Yemen. Washington is expanding military bases surrounding Iran while increasing its naval presence in the Persian Gulf. President Obama has expanded military agreements with the Gulf monarchies. Congress is increasing the flow of offensive arms to Israel as it openly threatens to attack Iran. In reality, while engaged in peace negotiations. Equally important, the U.S. has vetoed numerous attempts to finally rid the Middle East of nuclear arms. This veto safeguards the far-right, militarist Israeli regime’s enormous offensive nuclear stockpile, while outlawing any possibility of an Iranian deterrent. The so-called peace negotiations allow the U.S. to engage in pervasive and frequent espionage of Iranian military installations by so-called inspections by the U.S. controlled International Atomic Energy Commission (IAEA) with no reciprocal inspection of U.S. or Israeli military bases or that of any of its Gulf client states. Furthermore, Washington assumes the unilateral right to suspend the talks at a moment’s notice under any pretext and to launch a military attack. In sum, the U.S. negotiates peace with Iran in Lausanne, Switzerland, while it supplies Saudi Arabia with bombs and intelligence in its war against Yemen and finances armed Jihadi terrorists seizing half of Syria and large contiguous parts of Iraq. Over the past decade, President Obama and top State and Treasury Department officials have met with Chinese leaders, promising greater economic cooperation and exchanging diplomatic niceties. 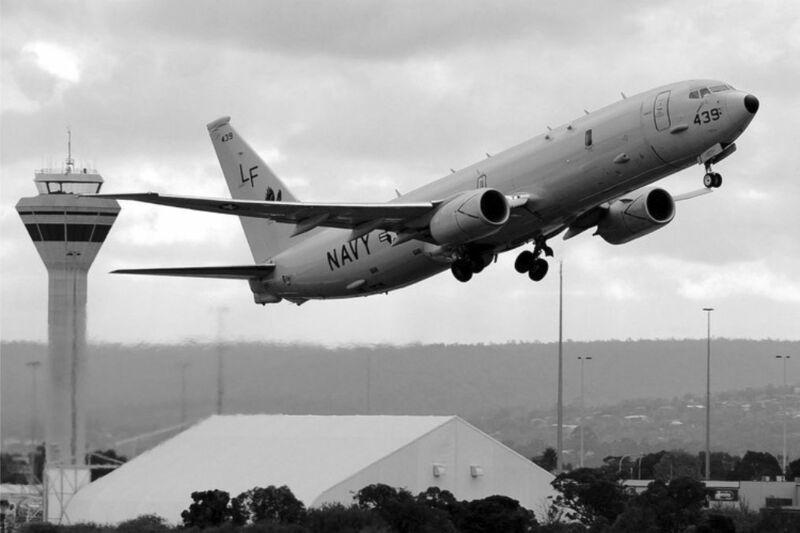 Parallel to these conciliatory gestures, Washington has escalated its military encirclement of China by enlarging its military presence in Australia, Japan, and the Philippines and increasing its aggressive patrols of adjoining airspace and vital maritime routes. The State Department has been inciting border-states—including Vietnam, Philippines, Japan, and Indonesia” to contest Chinese maritime borders and its transformation of off-shore atolls into military bases. The White House has proposed the Trans Pacific Trade Agreement, which specifically excludes China. It has signed off on nuclear weapons agreements with India, hoping to secure an Indo-American military pact on China’s southwestern flank. Obama’s “pivot to Asia” is best understood as a rapid escalation of military threats and exclusionary trade pacts designed to provoke, isolate, weaken and degrade China and push back its rise to economic supremacy in Asia. So far the U.S. strategy has failed. Washington’s diplomatic gestures have lacked the necessary economic substance and incentives to its allies; its much-ballyhooed trade agreements have floundered in the face of far superior and inclusive Chinese initiatives, including its new $100 billion-dollar Infrastructure Investment Bank and its more than $40 billion dollar economic agreements with the government of India. In the face of its economic failures the Pentagon has opted for flagrant military encroachments on Chinese airspace. Specifically, U.S. warplanes are directed to overfly China’s ongoing construction of military installations on atolls in the South China Sea. The Chinese Foreign Office and Defense Ministry have vigorously protested these violations of its sovereignty. The Obama regime has brashly rejected China’s diplomatic protests and affirmed Washington’s right to encroach on Chinese territorial waters. After a quarter of a century of failing to dominate China via economic penetration by U.S. multinationals and through the liberalization of its financial system, Washington has discarded its softer diplomatic approach and adopted a proto-war stand. 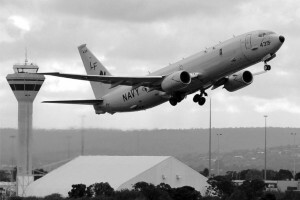 This policy uses economic boycotts, military encirclement and encroachment on Chinese maritime, aerial and land sovereignty in the hope of provoking a military response and then evoking a second Pearl Harbor as a pretext for a full scale war engulfing its Asian allies (and Australia) in a major war in the Asia-Pacific region. China’s market successes have replaced the U.S. as the dominant economic power in Asia, Latin America and Africa. In the face of this usurpation the U.S. has dropped the velvet glove of diplomacy in favor of the iron fist of military provocation and escalation. The U.S. military budget is five times greater than China’s, whereas China’s investments and financing of economic projects throughout Asia, Latin America and the BRIC countries are ten times greater than those of the U.S.
China’s economic pivot will clearly enhance Beijing’s global position over the medium and long-run, if the U.S.’s reckless and short-term military superiority and territorial aggression does not lead to a devastating world war. In the meantime, China is developing its military capacity to confront the U.S. pivot to war. China’s leaders have devised a new defensive strategy, boosting its naval capacity and shifting from strictly territorial defense to both defense and offense on land, air and sea. Offshore defense is combined with open sea protection to enhance China’s capability for a strategic deterrent and counter-attack. China’s annual military spending had increased on average ten percent per annum in anticipation of the Pentagon shifting 60 percent of its fleet to the Pacific over the next 5 years. For over 50 years the U.S. has mounted a concerted terrorist-sabotage campaign, economic embargo and diplomatic war against its Caribbean neighbor, Cuba. In the face of near total diplomatic isolation in the United Nations (185 to 3 against the U.S.-imposed blockade), universal opposition to belligerent U.S. policy toward Cuba at the Summit of the Americas and in the Organization of American States and surprisingly favorable public opinion toward Cuba among the domestic U.S. citizenry, Washington decided to open negotiations to establish diplomatic and commercial relations with Havana. On the surface, the apparent shift from military confrontation and economic sanctions to diplomatic negotiations would register as a move toward peaceful co-existence between opposing social systems. However, a closer reading of Washington’s tactical concessions and strategic goals argues for a mere change of methods for reversing advances of the socialist revolution rather than a diplomatic accommodation. Under the cover of a diplomatic agreement, the U.S. will directly or indirectly channel millions of dollars into Cuba’s private sector, strengthening its weight in the economy, and forming partnerships with Cuban public and private sector counterparts. The U.S. Embassy’s economic policy will be directed toward expanding the business sectors open to U.S. capital. In other words, Washington will pursue a strategy of incremental privatization to create economic and political allies. Second, the U.S. embassy will greatly expand its role as financial backer, recruiter and protector of counter-revolutionary, self-styled Cuban dissidents in its civil society. Third, the vast influx of U.S.-controlled telecommunications, cultural programs and exchanges, and commercial sales will have the effect of de-radicalizing the Cuban public (from socialism and egalitarianism to gross consumerism) and reducing Cuba’s fraternal ties to Latin America. Anti-imperialist solidarity with popular Latin American movements and governments will diminish as the Cubans adopt the Miami mentality. Fourth, Cuba’s economic and political ties with Venezuela will remain but the U.S. efforts to subvert or moderate the Bolivarian government may face less opposition from Havana. Fifth, Washington will foster cheap mass tourism in order to promote a one-sided dependent economy, which over time will replace socialist consciousness with a comprador consciousness—a decadent mentality—which encourages the emergence of a class of intermediaries or brokers engaged in economic exchanges between the sender (the U.S.) and receiver (Cuba) country. Cuban intermediaries between the imperial U.S. and dependent Cuba could become strategic political actors in Havana. In other words, the concessions Washington have secured via diplomatic politics will form the Trojan Horse to facilitate a subversion from within approach designed to subvert the social economy and to secure Cuban cooperation in de-radicalizing Latin America. Fidel Castro has rightly expressed his distrust of the new U.S. approach. Castro’s pointed criticisms of Washington’s highly militarized interventions in the Middle East, the Ukraine and the South China Sea is designed to influence Cuban policymakers, who are overzealous in conceding political concessions to the U.S. Negotiations between Libyan President Gadhafi and Washington led to a dismantling of the country’s advanced military defense programs. Once essentially defenseless from NATO attack, the U.S. and its European and Gulf allies embarked on a full-scale bombing campaign for regime change in support of tribal and sectarian warlords destroying the country’s infrastructure, ending the life of its leader and tens of thousands of Libyans and driving hundreds of thousands of immigrant workers from sub-Sahara Africa into exile as refugees. Negotiations between the democratically-elected leader of the Ukraine and the U.S.-NATO-based opposition led to political concessions that were quickly exploited by U.S.- funded foreign NGOs and domestic neo-Nazis. Street mobs took over government buildings in Kiev leading to a putsch and regime change, as well as detonating a brutal ethnic war against eastern Russian speaking Ukrainians, opposed to NATO and favoring continued traditional ties with Russia. Despite negotiations between the NATO-backed regime and Donbass federalists leading to a European-brokered ceasefire, the government in Kiev continues to bomb the self-governing regions. The U.S., EU, Saudi Arabia, and Turkey (the “Quartet”) back armed Islamist mercenaries and jihadist terrorists seeking to overthrow the Bashar Assad government in Damascus and rebel Houthi government coalition in Yemen. Under the guise of seeking a negotiated political solution, the Quartet has consistently pursued a military solution. Wars are preceded by or accompany diplomacy and negotiations which act to weaken the target adversary, as was the case in Libya, the Ukraine and Colombia. Diplomatic overtures to China are accompanied by a military pivot, aggressive military encirclement, and provocative acts such as the recent arrest of visiting Chinese scholars and repeated violations of Chinese airspace. The diplomatic overtures to Cuba are accompanied by demands for greater access to proselytize and subvert Cuban officials,and its people. Through phony partial agreements, which are never seriously intended to be implemented, the U.S.-backed Colombian military and their paramilitary allies continue to ravage the countryside. Displaced peasants and farmers attempting to return and reclaim farmland continue to be assassinated. Human rights lawyers and workers are still murdered. The Santos regime escalates its military offensive against FARC, taking full advantage of the unilateral ceasefire declared by FARC leaders in Havana. The true intentions of the Santos regime toward FARC were revealed in the aftermath of the assassination of 40 guerrilla combatants. The regime demonized FARC, justifying the offensive by criminalizing the insurgents, linking them to drug and human traffickers. The gap between what the regime negotiators say in Havana and what the military commanders do in the Colombian countryside has never been greater. The disconnect between the peace talks in Havana and the military offensive in Colombia is the best indicator of what can be expected if an agreement is signed. Santos and Aronson envision a highly militarized state advised by thousands of U.S. agents and mercenaries. The disarmament of FARC will be followed by the persecution of former guerrilla combatants and the expansion of mining contracts in former guerrilla controlled territory. The military command will increase its sponsorship of cross border paramilitary attacks on Venezuela. The Santos regime will find a pretext to continue the incarceration of the majority of political prisoners. There will be no agrarian reform or repossession of illegally seized land. 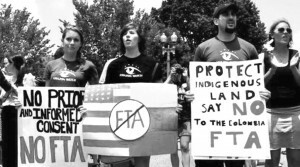 There will be no reversal of the U.S.-Colombian free trade agreement. The hundreds of thousands of displaced peasants will remain without land or justice. In other words, there are valid grounds for viewing FARC negotiators as operating under pressure from its supposed allies to continue talks and reach a peace agreement, even if the results will be neither peace or justice. The U.S. strategy of “war through peace negotiations” is an ongoing process. So far the U.S. military build-up against China has failed to intimidate China. Beijing has responded by launching its own strategic military response and by financing a huge number of Asian economic projects which, in the long-run, will isolate the U.S. and undermine its offensive capacity. The war through negotiation strategy succeeded in destroying a nationalist adversary in Libya, while also devastating a profitable oil and gas producer, creating a failed state on the Mediterranean and unleashing jihadist groups throughout North Africa. The NATO-Obama campaign for regime change in Libya led to the mass exodus of millions of sub-Saharan workers formerly employed in Libya with untold thousands drowning in the Mediterranean in their desperate flight. 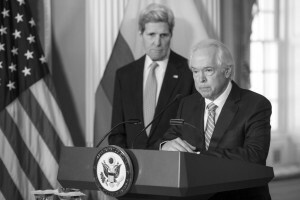 The U.S. war and negotiations policy toward Iran remains inconclusive. Washington has encircled Iran with proxy wars against Yemen and Syria but Iran continues to gain influence in Iraq. The U.S. has spent $40 billion on arms and training on an Iraqi army whose soldiers refuse to fight and die for U.S. interests, allowing the neo-Baathist-ISIS coalition of Sunni insurgents to seize one-third of the country. The more serious and motivated militia defending Baghdad is composed of the Shia volunteers, influenced by Teheran. The horrific break-up of what was once a sovereign secular republic continues. Washington’s dual strategy of negotiating with the Rohani regime while encircling the country is intended to degrade Teheran’s defense capability while minimizing any relief from the economic sanctions. Whether this one-sided process will lead to a final agreement remains to be seen. In the final analysis, the U.S. relations with Iran are subject to the power and influence of the Zionist power configuration in the U.S., acting on behalf of Israel, over and against the European Union’s interest to develop trade with the 80 million strong Iranian market. The U.S. subversion via negotiations approach to Cuba has moved forward slowly. The Cuban security apparatus, military, and, especially, important contingents of officials, militants and intellectuals serve as an important counterweight to the zealous liberal modernizers who envision market solutions. Washington does not expect a rapid transition to capitalism. 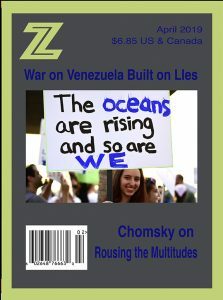 It is banking on a war of positions, securing joint ventures with state officials; a massive infusion of consumerist propaganda to counter socialist values; funding private capitalists as potential strategic political allies; encouraging Cuban foreign policy officials to cut off support for leftist movements and governments. Cuba’s leaders, at all costs, must not return to an economically dependent relation with the U.S.—which is the strategic goal of the U.S. The U.S. strategy of war through negotiations has mixed results. Where it confronts a burgeoning world power, such as China, it has failed. With a weak, disarmed state like Libya, it succeeded beyond its wildest dreams (or nightmares). With “middle level powers” like Cuba and Iran, it has secured political concessions, but has not yet eroded the security and defense capabilities of the governments. In the case of Colombia, Washington is deeply embedded in the regime and has openly embraced a naked military solution. James Petras is a retired Bartle Professor of Sociology at Binghamton University in New York who has published on Latin American and Middle Eastern political issues.